← Why Do We Baptize on All Saints’ Day? Like nature, theologians abhor a vacuum. Because the Bible has little to say about the immediate afterlife, the tendency, in the church, has been to just make things up. The hope of the resurrection of the dead simply doesn’t offer the kind of continuity that the modern mind requires. Paul’s words of comfort to those who mourn, in 1 Thessalonians 4:13-18, are either ignored or contorted to fit the Greek philosophical model of the immortality of the soul which the church has now adopted. 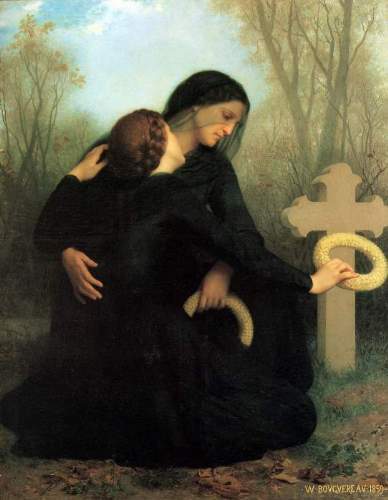 The biblical idea of the dead being at rest until they are raised has been discarded for the idea that we will all live on as disembodied spirits who, among other things, can pray for the living and are in need of prayer themselves. It is true that the meaning of Scripture is not always clear to us, especially in a modern context. But that doesn’t give us license to just make stuff up. Sadly, I am afraid that you have both missed and reinforced my point. I do agree that the Bible has little to say about the afterlife that is perfectly clear and indisputably conclusive. That being the case, prayers for the departed are a good thing. We do not know what goes on with the dead moments, seconds, hours after they shuffle off this mortal coil. It is akin to waking up in the middle of the night and praying for your son while they are away at college. It is four o’clock in the morning. They are, most likely, safely sleeping in the dorm. Nevertheless, a few prayers for a safe night never hurt anyone! I am curious. Just what is it exactly that I am making up? Please forgive me for being unclear. I was not accusing you of making things up. I think it’s fun to speculate on possibilities like whether Onesiphorus was alive or dead when Paul wrote to Timothy of him. I was merely lamenting the modern fixation on the afterlife in general and the lack of biblical support for what most Christians believe about eternal life. I have no problem with the idea of prayers for the departed. I find them appropriate in the right context.